So, a change of name for this showpiece event in the English Heritage calendar, no longer the “Festival of History”, now “History Live!”. On the face of it, that was just about the only change of note to this excellent event. It was, to this paying customer at least, the same Festival of History as in previous years, just with a different name. One other change I did notice, there was no First World War trench display this year although I am told this will return in 2014 as one of many events planned to mark the centenary of the start of the Great War. What a difference a year makes. This time last year I remember blogging about how this event, along with many others, had been cancelled due to the wettest summer for a hundred years. Fast forward twelve months and the UK is enjoying (if that’s the right expression…) a heat wave such as we haven’t seen for many years. Here in Northamptonshire we have hardly seen a drop of rain for almost four weeks and with clear blue skies and temperatures in the mid to high 20s Celsius every day for the past three weeks the ground is starting to look quite parched and brown in many places. In the event, the weekend weather turned out to be not the clear blue skies and souring temperatures of the previous few days but much cooler, cloudier and quite overcast at times. 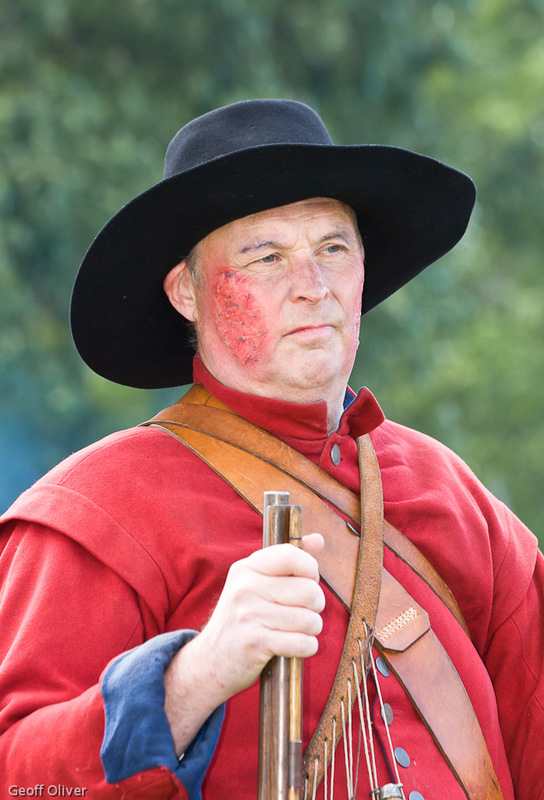 I can imagine this would a great relief to the re-enactors in their uniforms, many of which include both chain mail and/or heavy armour, not to mention helmets, weapons and various other pieces of kit which required to represent the chosen period with authenticity. Regular readers of this blog will know that “cloudy bright” is my very favourite lighting for outdoor people photography, the clouds forming a massive diffuser to spread the light evenly over the subject without creating harsh shadows or highlights. In particular, photographing people wearing hats can be especially problematic in strong sunlight due to the harsh shadows created under the brim. In these conditions I usually resort to fill-flash (which is so easy with modern cameras) to avoid hard shadows obscurring the eyes. On the Saturday, the light was actually rather poor for much of the day. I shoot Aperture Priority (Av on Canon DSLRs) almost all of the time so I have full control over depth of field. However, I had to constantly keep an eye on my shutter speed and subsequently adjust the ISO upwards if it started to fall below 1/320 second (I was using my trusty EF 80-200mm MDP lens for the event and 1/250 is absolutely the slowest shutter speed I want to go with this lens unless deliberately panning). I also took the Canon 40mm “pancake” lens for the wider shots. It’s a great little lens with surprising performance for something so tiny. 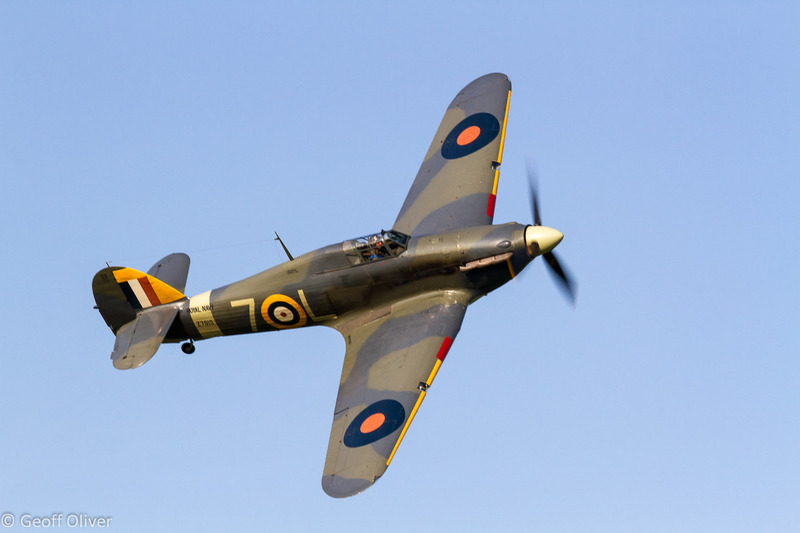 Below is a small selection of the photos I took on the day, including the Hawker Hurricane flypast. I have just started uploading some of my other photos from this event to my website here. Those people who know me well would tell you that I am not a big fan of aeroplanes. In fact, the opposite is true. I have never been in an aeroplane myself and I have no plans to ever change that. Not only that, I don’t even like driving near airports in case a plane should suddenly fly low over the road and frighten the life out of me. How is it then, that I recently decided to book a ticket to see my very first airshow? 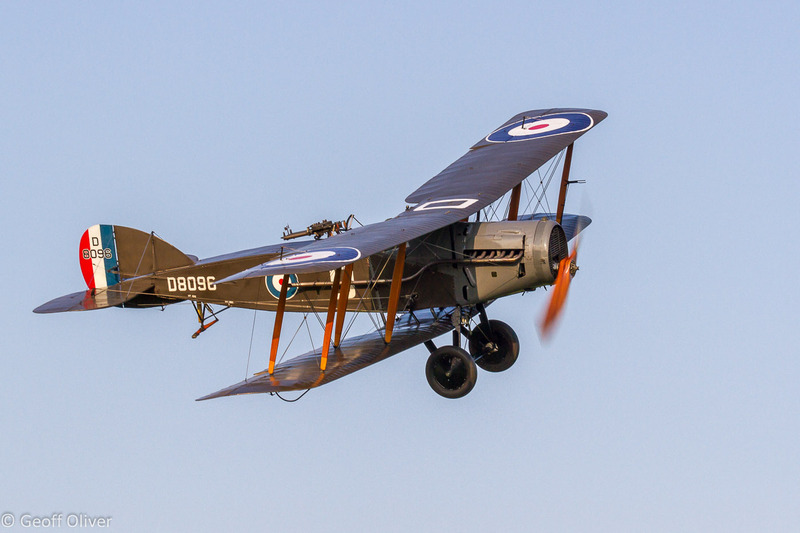 Well, one reason is that this particular air display promised to feature some of the oldest planes still flying in the world. 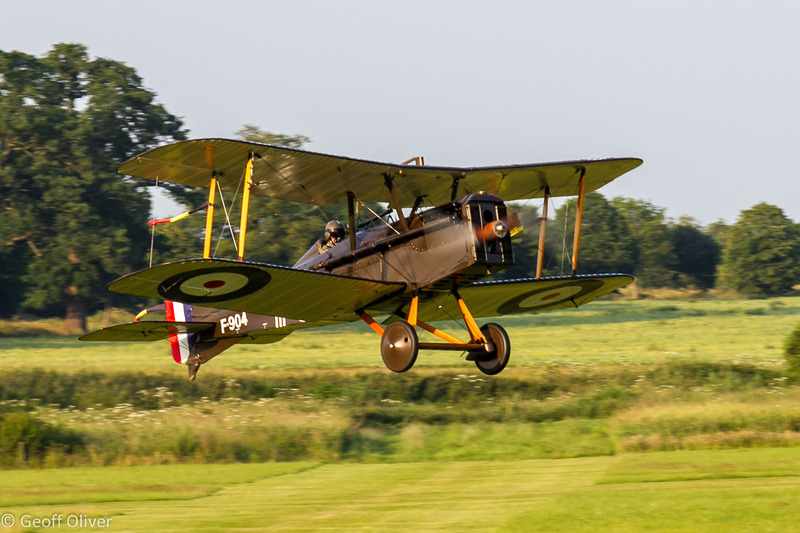 The main reason, however, was because this event was to take place on a summer’s evening in July, and it was the prospect of photographing beautiful historic planes combined with the (hopefully) warm evening light that got my attention. So it was that I set out on the relatively short journey from my house to the Shuttleworth Collection at Old Warden, near Biggleswade. This was another first for me as I had not been there before, although I did once go to the neighbouring Birds of Prey Centre with my good friend Barry. Although it was my first air display, I have photographed propeller driven aircraft in the past at various historic re-enactments, usually associated with WWII. Consequently, I was aware of the decision that all photographers taking this sort of subject have to take, namely how fast to set the shutter speed. On the one hand, a fast-moving plane demands a fast shutter speed in order to obtain a sharp image, especially when using a longer lens. On the other hand, a fast shutter will “freeze” the propeller and make the plane resemble a model aircraft, hanging by a thread from the bedroom ceiling. A slower speed is therefore needed in order to show the rotation of the propeller and give the picture a feeling of movement. On the night, I tried a number of different shutter speeds including 1/200 second which gave good rotation of the prop but reduced my “keeper” rate somewhat due to camera shake (I was using an 80-200mm lens, mostly at the long end). I also tried 1/320 second which showed less propeller movement but gave me many more keepers in terms of sharpness. I also tried 1/250 second which was probably the best compromise, at least with this lens. I dare say that a lens with built-in image stabilizer (IS) would have given me more sharp images at the slower speeds but I don’t have one of those as yet. So how did it go? Well, despite being a long way out of my comfort zone regarding my fear of planes, it was a brilliant event that I thoroughly enjoyed. The perfect weather conditions certainly helped, it was a clear blue sky for most of the day and very warm indeed, even for July. Add to that the beautiful planes, the great location and a well organised programme run by people who clearly have a love of all things flying and know how to run an event. I must mention the arrival of the Hawker Sea Fury and Hawker Sea Hurricane. They arrived side-by-side from the right-hand side of the airfield and flew across the viewing area literally wing tip to wing tip. Luckily for me, my face was buried in the back of my camera with my finger welded to the shutter button as they flew by. If I hadn’t been taking photos I’m sure I would have run for cover as they were frighteningly close, as you can see from the sequence of photos below. I guess credit must go to the pilots for the outstanding skill they have in being able to fly so closely without colliding. The light got better as the evening progressed, with the best light being saved for the WWI and Edwardian planes at the end. 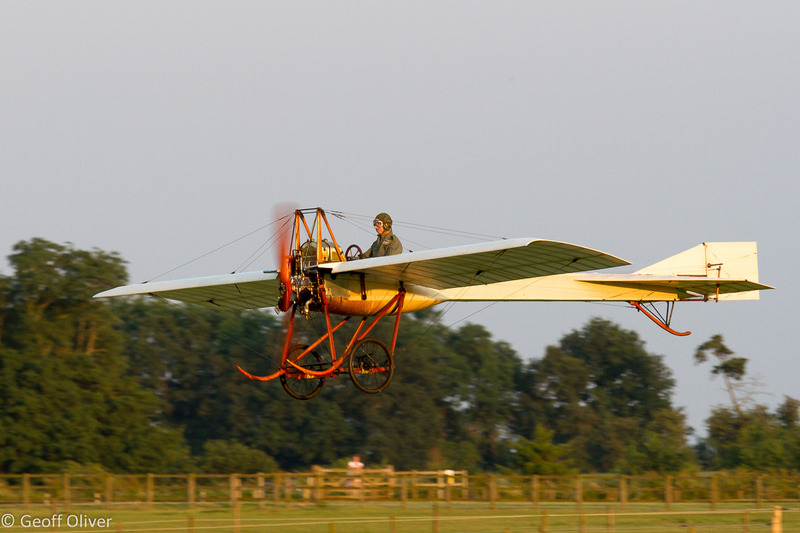 If this Bristol Boxkite below looks familiar, you may have seen it staring in the hit movie “Those Magnificent Men In Their Flying Machines”. Until next time, whatever your chosen subject, enjoy your photography! 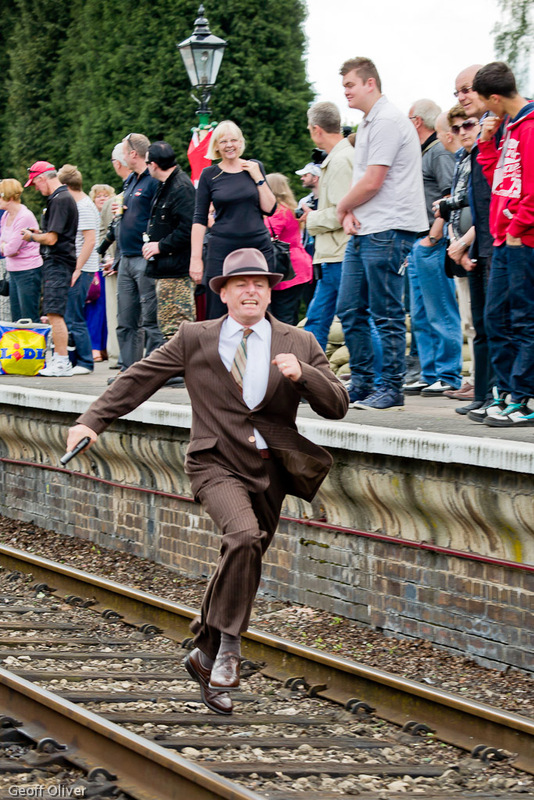 Here’s just a few of my favourite photos from the 1940s event last weekend at the Great Central Railway in Leicestershire. As usual, I went with my good friend Barry on the Saturday, to be honest I was feeling a little tired after a long day at my sister-in-law’s wedding the day before. As soon as we arrived we were immediately aware that it was going to be a busy day with lots of people having turned out to see the event. I had decided the night before to take just my longer lens, a Canon 80-200mm F/2.8 L (a.k.a. The Magic Drainpipe), and leave my standard zoom (28-70mm) at home. The longer zoom is perfect for head & shoulders portraits and I also had in mind the possibility of a fly-past at some point in the day but this turned out to be only on the Sunday. The problem with taking only the longer lens, is that it requires a certain distance between the photographer and subject in order to get good framing and a little bit of variation in composition. Now this is fine as long as there are not too many people and other photographers about but can be a bit tricky when there are lots of people around and lots of photographers with shorter lenses trying to get the same shot as me but from a closer range. On the positive side, the longer lens can be used to “isolate” the subject from the surroundings and can also provide a more diffused background than with a standard zoom. 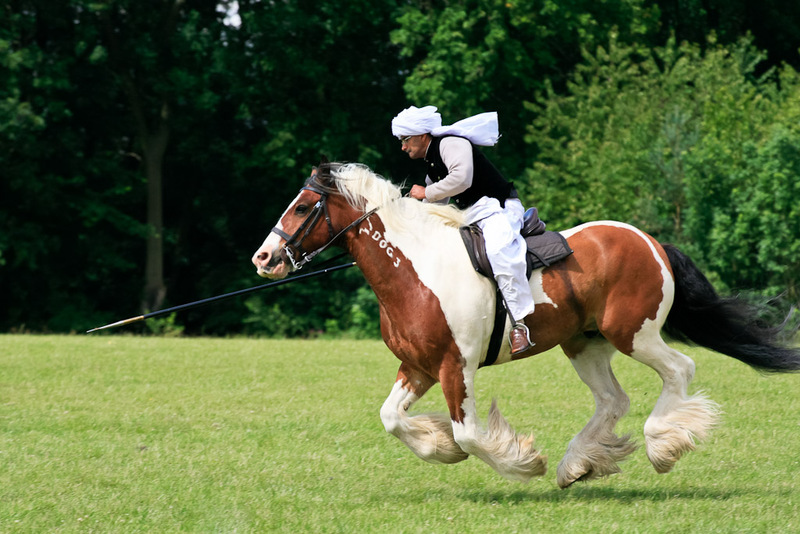 One of my favourite events of the year is happening this weekend – 7th, 8th and 9th June 2013. 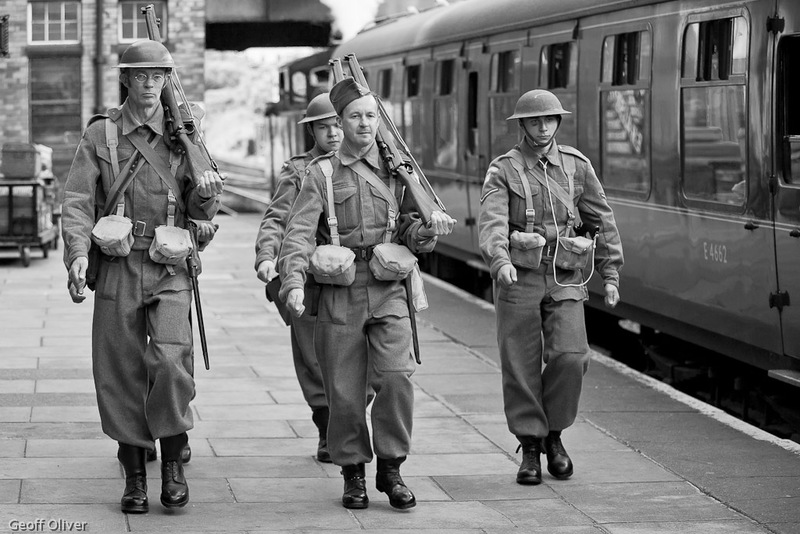 The 1940s event at the Great Central Railway in 2007 was one of the very first re-enactment events that I ever went to and this event is still one of the highlights of my photography calendar. I shall hopefully be posting photos from this year’s event in due course but before I do that I just wanted to show you the 2013 Great Central Railway Timetable and also the Wartime Weekend Flyer, both of which feature one of my photos on the front cover, the young soldier and the land army girl looking out of the railway carriage window. 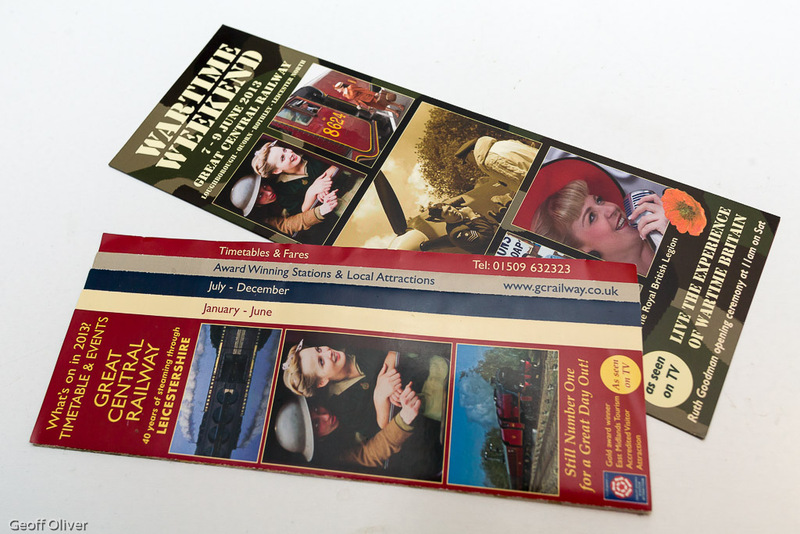 I’m really pleased to see this photo taking pride of place on the front of these two brochures, I just hope I can take some photos of a similar quality over the coming weekend. This shot was the best of a series of similar shots that I took just as the train was arriving at Rothley Station. 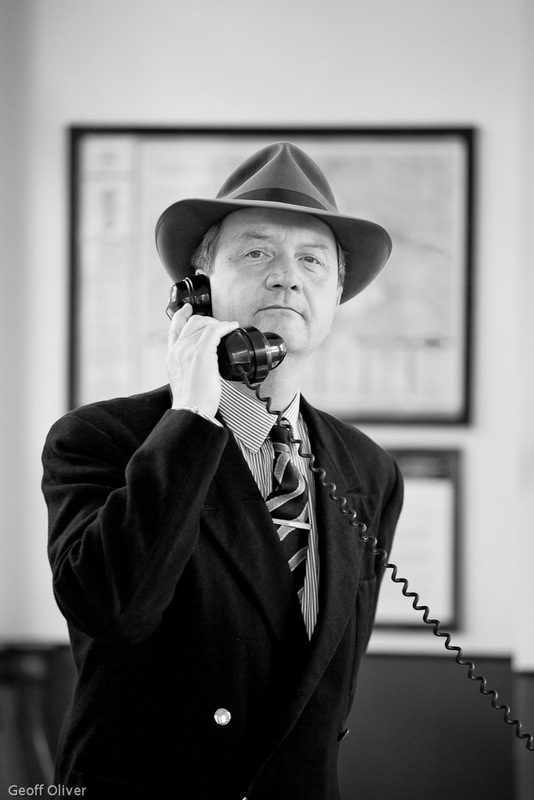 My photos from the GCR 1940s event in 2012 can still be seen here, and from the 2011 event here. Here’s a tiny selection from the 1200 plus photos that I took at the London North Tough Mudder event at Boughton House near Kettering in the UK on 4th May 2013. Unlike last year, this time my good friend Janet and I were attempting to follow two particular groups of runners, one from the 8:40am start group, and one from the 9:00am start. I must confess, I totally missed Joe and his team at our first obstacle, the aptly titled “Kiss of Mud” despite being in position on time. We both managed to catch Matt and most of his team twenty minutes later though. Then, a mad dash to the “Island Hopping” before a short trip to the “Underwater Tunnels” at which point we lost contact with our teams as they ventured away from the spectator areas. We then waited to “ambush” them at “Mud Mile” #2, where I finally caught site of Joe and the team, and then rushed back to catch them as they approached the final few obstacles, including the “Hero Walls”, “Everest” and finally “Electroshock Therapy”. It was an excellent event to photograph, as it was last year. I could easily have stayed at Mud Mile all day it was so entertaining. The occasional heavy shower with hail stones thrown in just added to the fun. Yet another event is cancelled due to the terrible wet summer we are having here in the UK. 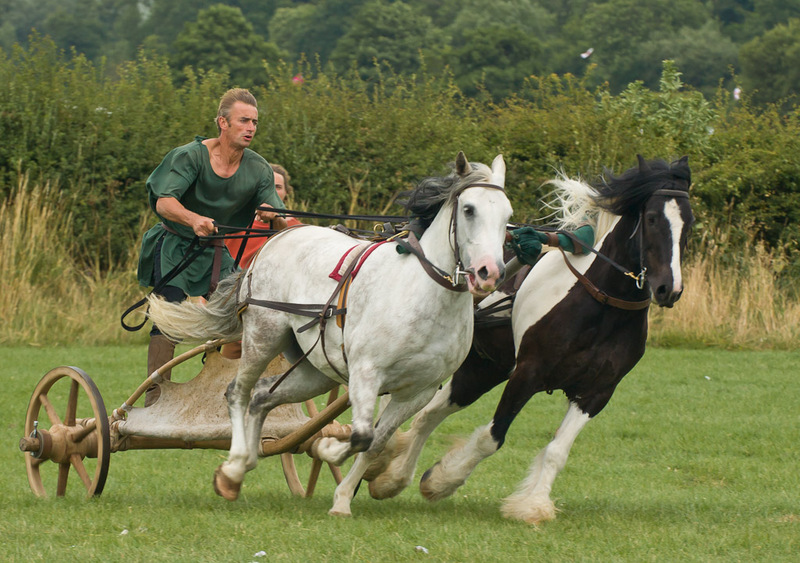 The Festival of History at Kelmarsh Hall in Northamptonshire, the flagship event in the English Heritage calendar, has suffered the same fate as so many other outdoor events this year. It all started in March with the announcement that there were to be hosepipe bans in many parts of the country due to water shortages and the reservoirs being at record lows. I know myself from visits to Rutland Water reservoir that water levels were indeed very low at that time. Little did anyone realise that almost from the moment the hosepipe ban was announced, it would rain almost daily for the next three months. June 2012 was the wettest June since records began in 1908 and July has carried on in much the same way. It was ironic that last Sunday, the day I was planning to go to the Festival of History, turned out to be one of the best days so far in July with plenty of sunshine. Sadly the field where the festival was to take place was already under water by then and the event had reluctantly been cancelled after the downpours of Thursday and Friday nights added to the already wet conditions under foot. It’s a real shame, not just for me, but especially for the organisers and the re-enactment groups and living history groups who have no doubt been planning this event for many weeks and months in advance. I know of at least two other events that were cancelled on the same weekend. Only the Burton Latimer Annual Duck Race survived, it would appear that the current weather is absolutely perfect for ducks, even the yellow plastic variety! It has to stop raining eventually, doesn’t it? I hope you enjoy your summer holidays, whatever the weather! 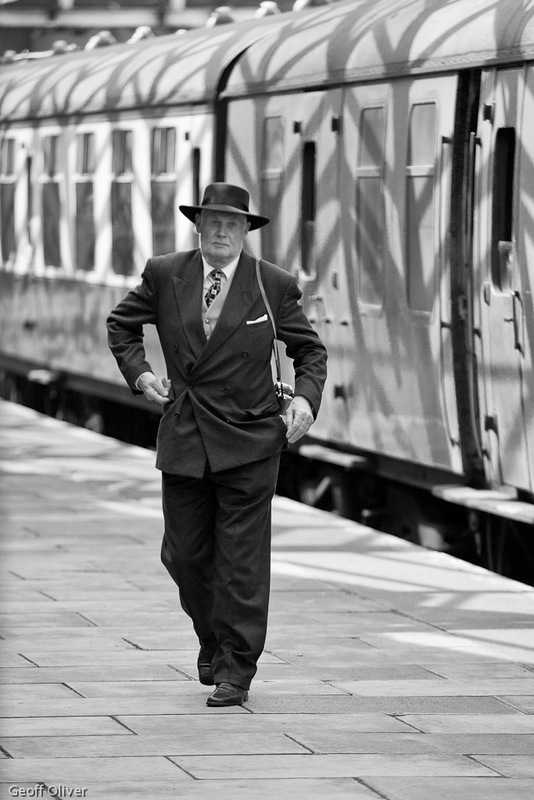 Before I talk about my visit to the Great Central Railway 1940s weekend, I want to share some good news about two photos that I took at this event in 2010. I recently entered these two image in the Great Central Railway Print section of the annual exhibition run by Leicester and Leicestershire Photographic Society. This year (2012) was the fifth time that my good friend Barry and I have photographed this event in the last 6 years. Not only is it a great event for photographers, but it is a great day out with plenty to see and enjoy, good food and interesting people to meet and share experiences. The weather turned out so much better than expected with the forecast for Sunday being wet and windy. As it turned out, it was a beautiful day for re-enactors and visitors alike. I don’t think there were quite as many period costume “characters” as there were last year but there was still plenty going on, certainly on the Sunday when we were there. 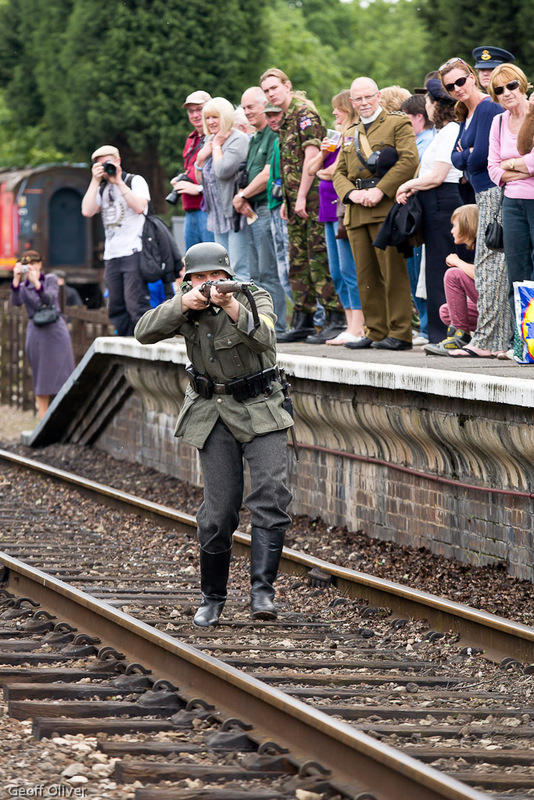 The Das Heer re-enactment group were on patrol at Rothley Station as in previous years. 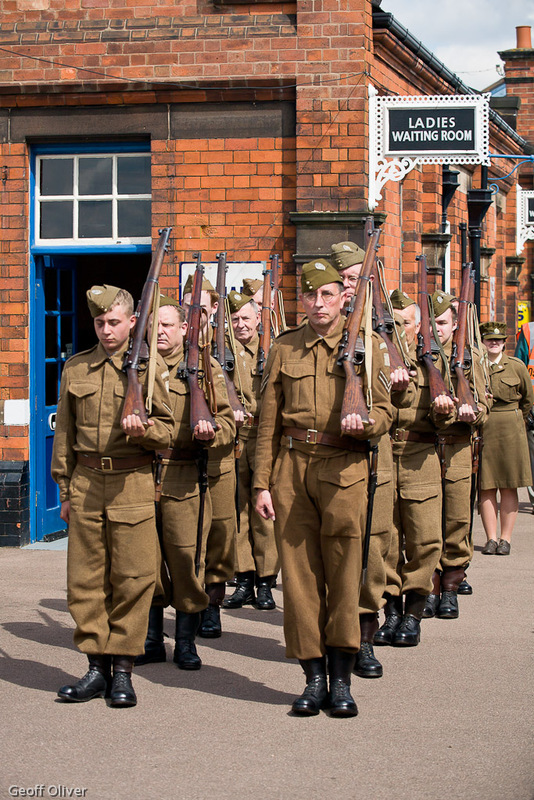 At Quorn and Loughborough Stations we encountered the Pitsford Home Guard Living History Group who carried out various exercises, parades and drills throughout the weekend. 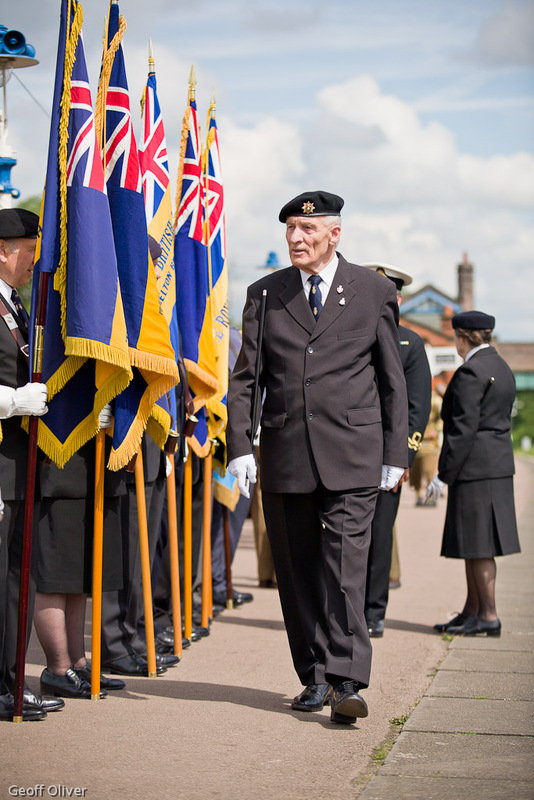 There was also a rarade featuring members of the Royal British Legion and guest dignitaries including Montgomery among others. This was my first re-enactment of the year following a long lay-off due to my back problem earlier in the year. It was great to be out taking photos again and I hope to be able to cover more events through the remainder of the year now that my back is improving. All the photos here were taken with my Canon EOS 5D (Classic) and EF 80-200mm F2.8L lens. All photos were shot in RAW format and processed using Lightroom Version 3.6. I’m still using Windows XP and so I am unable to upgrade to the latest version of Lightroom but to be honest it doesn’t concern me that much. 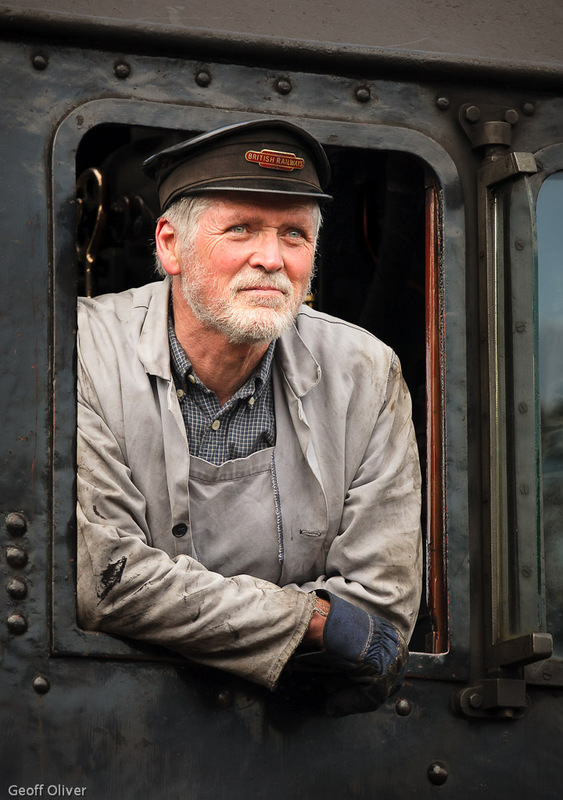 As always, credit must go to the event organisers, especially everyone connected with the Great Central Railway, including all the volunteers. 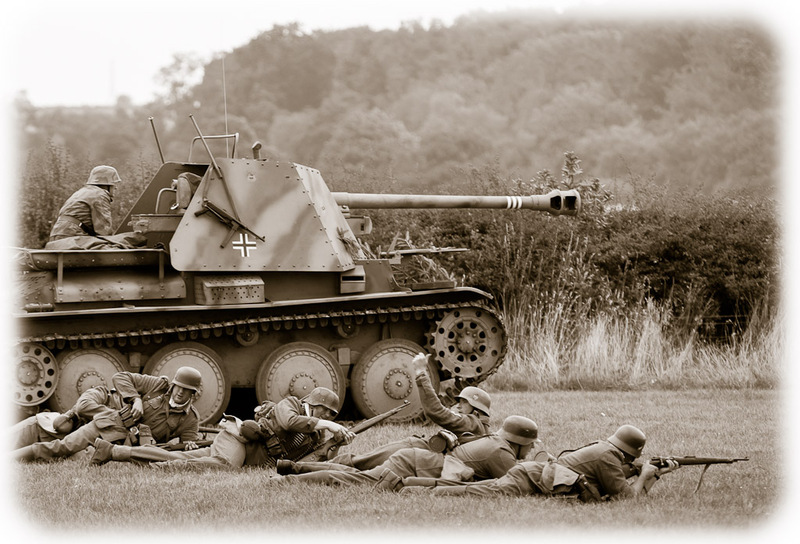 Also thanks to all the living history groups and re-enactors, both military and civilian, who make these events such a great photo opportunity for the many enthusiast photographers like myself.